Football Manager is an interesting beast. A football team is such a complex machine with so many moving parts that running one can seem a lot like an engineering problem. When something's not right you can spend an age rooting around through its many complex systems and finding the right thing to fiddle with feels like equal parts art and science. From the sidelines, fans can only see the most obvious changes to real-life teams, but the Football Manager series lets you get under the hood and get intimate with the depths and complexities of the great clubs. Sports Interactive has been making these games for a long time now and it shows in the depth of these games. 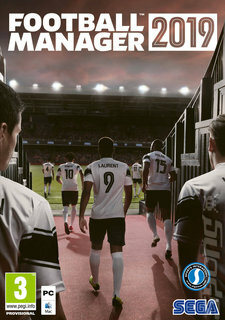 You could spend many thousands of words on explaining all the many changes that have been made to the series for Football Manager 2019. Feedback on the decisions you make has changed in many aspects of the game, for example - you can see player reactions to your mid-match shout-outs and get more clarity from a bevy of other screens and sub-screens, too. By the time we'd listed them all you might as well have just started playing the game for yourself, though. The headline change, however, is one that has a very noticeable impact on play. Training has been massively expanded this time out. It used to be that you just had to pick coaches well and serve up the odd instruction on where they should be focusing their energies. Now you can take a deep dive into the training programme, choosing from nearly 50 types of session to fiddle and fine-tune to your heart's content. For those who enjoy getting right down to the nuts and bolts of managing their chosen team (which is pretty much everyone interested in this series by definition) Football Manager just got a whole lot deeper.